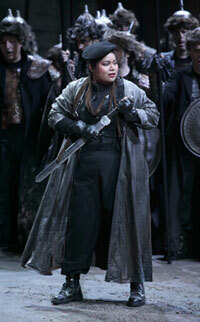 Seattle Opera's premiere of Attila opens a week from Saturday, which means it's time to get to know our singers! To start off, I talked (in Spanish) to the woman who single-handedly takes down the King of the Huns: our opening night Odabella, soprano Ana Lucrecia García. 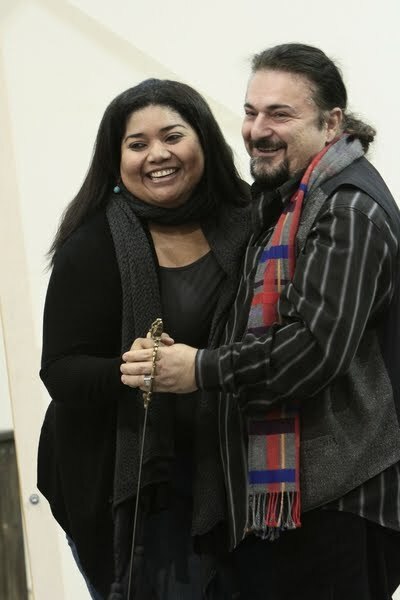 In 2008, García alternated as Aida in what is a much better-known Verdi opera, but she's excited to return to Seattle for Odabella, a role she's long admired. She recently stunned La Scala audiences as a last-minute substitution in the role, and we ask her what that experience was like, why she loves Verdi and Odabella, and what it was like growing up with access to Venezuela's legendary system of music education. What is music education like back in Venezuela, where you’re from? Fortunately, Venezuela has an organization called Sistema Nacional de las Orquestas Juveniles, which has a presence in each city in Venezuela and gives all of us access to music. When I was very little, I began studying violin and was playing in a symphony orchestra by the time I was 8 years old. You can say I grew up surrounded by music, because my mother sang in a chorus. So I knew what it was to make music as part of a group, and that’s very important. It’s a very healthy activity that helps the formation of your character, makes you a more stable person. It was influential for me to have that access to an instrument, to play in that orchestra, because it has formed so much of my life, to the point that music is now my career. Very rarely. Sometimes I get a little nostalgic, and I take out my violin and dust it off. I’m surprised by what I still remember—entire scores!—and my fingers will move by themselves, through muscle memory. But lately I’m too vain and I like having my nails long. [Laughs] I don’t want to cut them to play the violin. How did you switch from playing the violin to singing? Another time, one of my colleagues stopped me as I was walking and asked, “Ana Lucrecia, do you sing? Because when I watch you move, I see a singer.” It was like a premonition! But that’s how it began, as a joke. I imitated and then I found my own voice. I began studying when I was 23, and at the time, my own voice was something to laugh at—I sounded like a squeaky little bird. But little by little, I found a genuine joy in singing, much more than what I experienced playing violin. That surprised me, because my violin was my great love, my first love. I was already a professional violinist, teaching classes and playing in an orchestra. But singing was like an explosion, like starting my life for the first time. Now you live in Madrid. When and why did you move to Spain? I moved in 1998 because I began studying voice at Reina Sofía. They had scholarships that allowed me to go without having to pay tuition, and they had the prestige I wanted at the time. So I auditioned and they accepted me. Let’s talk about your role in Attila. 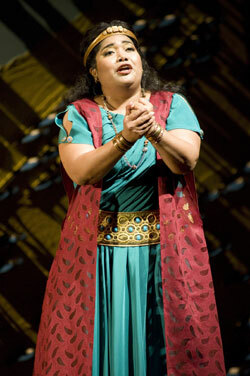 How do you feel about Odabella and this opera? 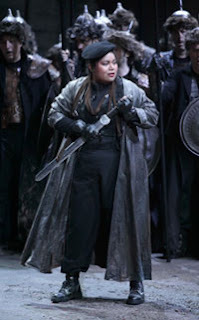 This type of dramatic coloratura role appeals to me very much. Attila is strong and warlike but at the same time it shows a musicality that I love. Verdi’s music is a favorite of mine, for how honest it is. It is straight from the heart. 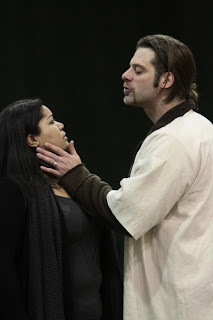 It’s different from passion, which is more visceral; with Verdi, it’s all heart. It’s friendship, love, all the noblest of sentiments. It touches me so much; I feel it and I hear it in every note. Specifically, I love Odabella. Hers is some of the music I listened to before I became a singer, and she was one of my favorites. I thought, “How can one possibly do that? What a marvel it must be to sing that role.” So now the satisfaction is twice over. I’m in awe of the role itself, but I’m also singing with a joy, and a gratitude to God, that I’m able to do this. Last summer, you sang this role at La Scala. What was that experience like? Ooh, it was mind-bending. I was going with the obvious joy of debuting at La Scala—imagine that, singing at such a temple! How spectacular. But on the other hand, I was a little apprehensive, wondering how the public would receive me. I had heard so many stories of people booing if they didn’t like you, and I was terrorized by the thought. I thought, “No, no, no! That can’t happen with me, they must applaud me!” [Laughs] But, of course, you later realize that their audience is just sincere. If they like you, they tell you. And if they don’t like you, you’ll hear about it. When I arrived, I was very prepared. I’d been studying the role for a year, because it was a double debut—debuting at La Scala and debuting in the role. I thought that I needed to come double, triply prepared, to surmount that lack of experience, so I could sound like a true professional. But it ended up being fantastic, I was treated and received so well. The atmosphere was just beautiful, and I have wonderful memories. They applauded me, thank God! [Laughs] It was a very emotional experience. How do you relate to Odabella? What’s it like to slay Attila? Me, personally, I’d never do something like that! But that’s the magic of opera. You can play pretend, and live out these roles and say, “Today I’m going to be the bad girl.” Though, of course, Odabella’s not bad, she’s good. She goes after Attila only because he’s killed her father. But in my personal life, I’d never cut off someone’s head. Normally, I’m a total pacifist, all about peace. [Pauses] Well, it depends. If you did something that bad to me, I’d probably turn into Rambo, too!